I still cannot get over the fact that is it already April! I feel like we were just ringing in the new year. This week has been a fun, crazy, exciting and overwhelming week in so many ways, but I am so thankful for the weekend and spending time with my family. So, I know its not in a mason jar, but it still delicious. It has been so long since I made one of these and I forgot just how good they are! They are perfect make ahead breakfasts for your gals on the go. 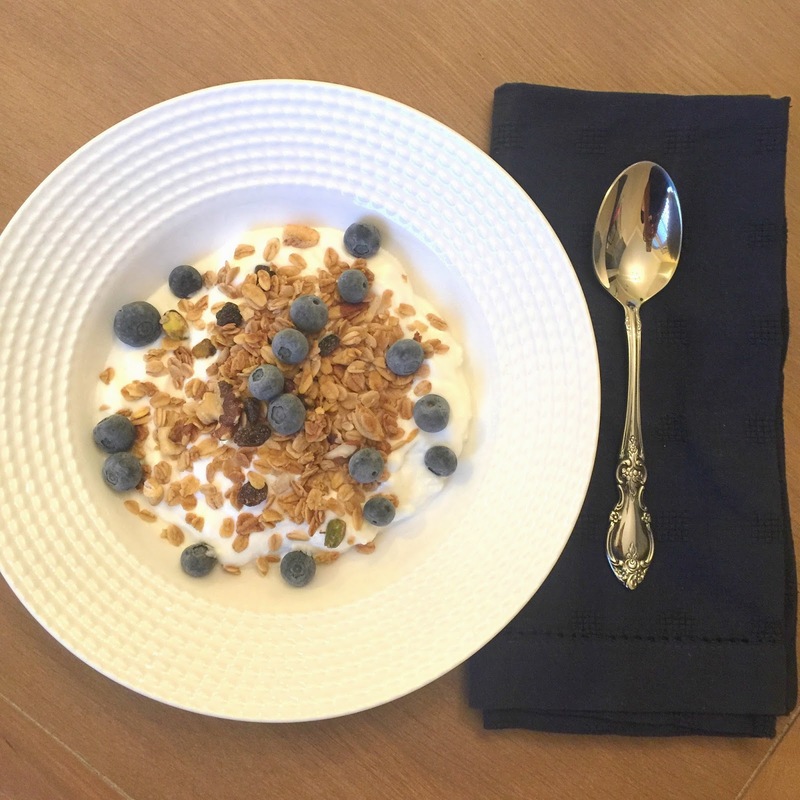 I used plain greek yogurt, Udi's simple original granola and some fresh blueberries! YUM! I also love to mix in strawberries and dark chocolate chips! It tastes like a chocolate covered strawberry! This month, I got dishwasher packs, bathroom cleaner, all purpose cleaner, organic shave oil, and fabric and room spray (it smells amazing!). And last month I chose, toilet cleaner, dryer sheets, stain remover, deodorant, and the fruit and veggie wash. It so easy to customize it and choose what you need. You can select from home cleaning products, bath and body products and some diapering products. 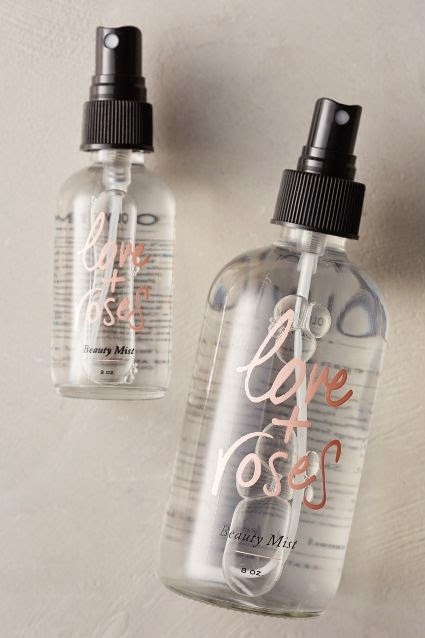 I ordered this beauty mist during the Anthro Day sale, and I am over the moon in love with it! It is a perfect pick me up whenever you need it. You just spray some in your hair, face or body and it is like a instant refresh! The smell is to die for! The light rose smell is sure to put a smile on your face. The smell is very similar to the Dr. Bronner's Hemp Rose Magic Soap. Well, I moved out of the room I used to use as my office, and into my husbands old office so that we could use my old office for something else. My new office is a completely different layout, size and shape so I have been having fun rearranging it all. Here is a little peak at what its looking like so far. 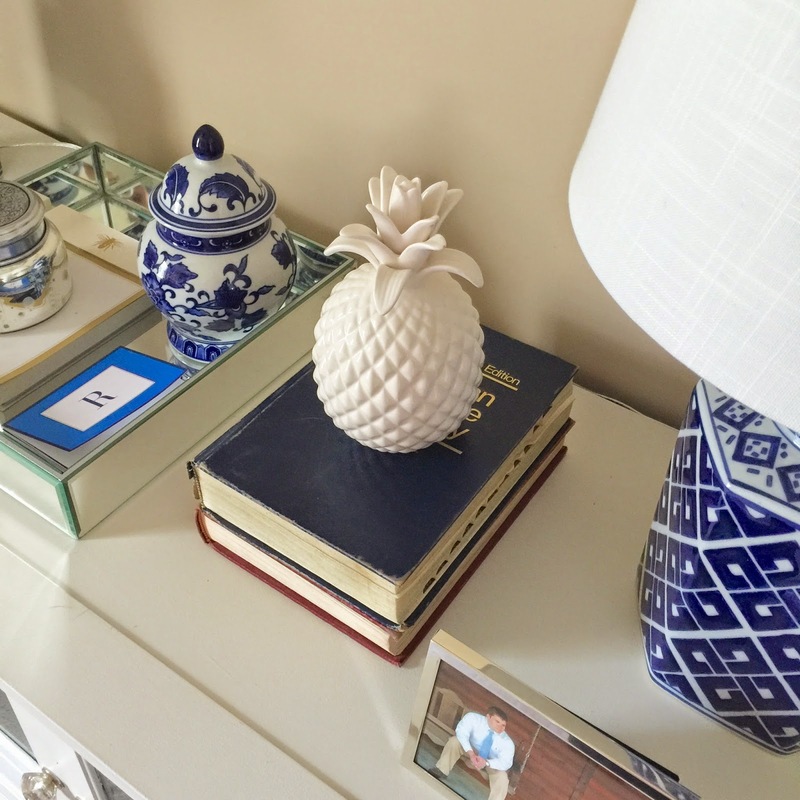 I am loving getting to rearrange and change up my office. The only downside, is that I am trying to make sure its not too girly since KJ will still use this office occasionally too. So, Blue and white it is. I mean how can you not love blue and white? Spring time is one of my favorite seasons next to fall. I am so glad that I am staring to see hydrangeas in bloom! The reason I love spring so much is probably because all my favorite flowers being to bloom. (Hydrangeas, Tulips and Magnolias). Have a fabulous weekend! I hope you get out and enjoy the warm sunshine! I love your home! You have great taste. Do you work from home?